Краткое описание: A 400-year-old clue in the coffin of Sir Francis Drake sets a modern-day fortune hunter on an exploration for the fabled treasure of El Dorado, leading to the discovery of a forgotten island in the middle of the Pacific Ocean. 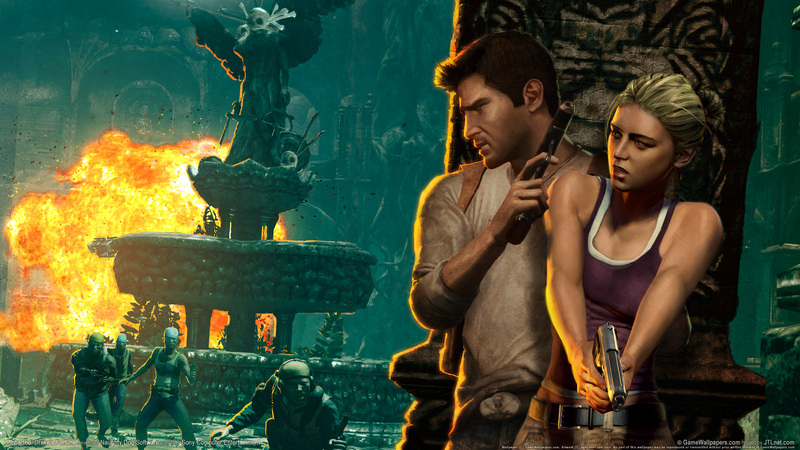 The search turns deadly when Nathan Drake becomes stranded on the island and hunted by mercenaries. 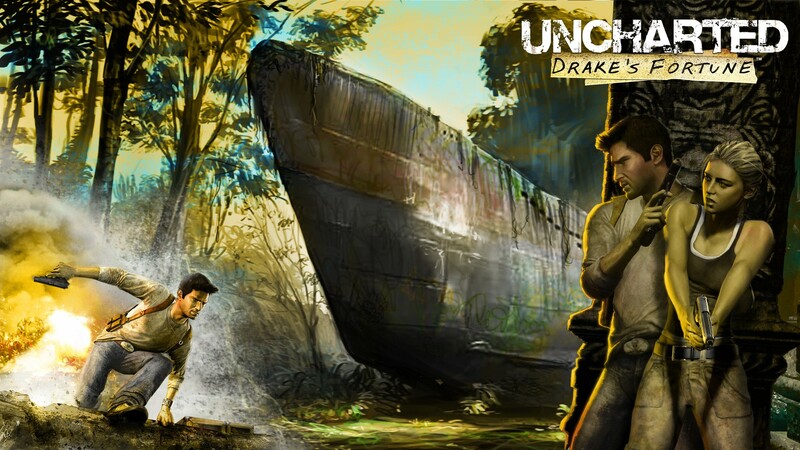 Outnumbered and outgunned, Drake and his companions must fight to survive as they begin to unravel the terrible secrets hidden on the Island. 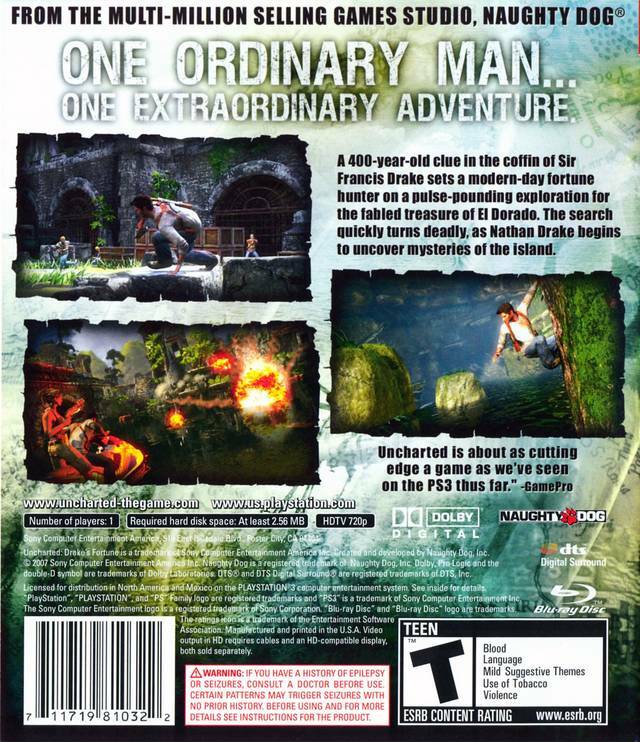 Taking full advantage of the power of PS3, Uncharted: Drake’s Fortune is developed using proprietary technology that promises to impress players with incredibly realistic characters and lifelike environments. 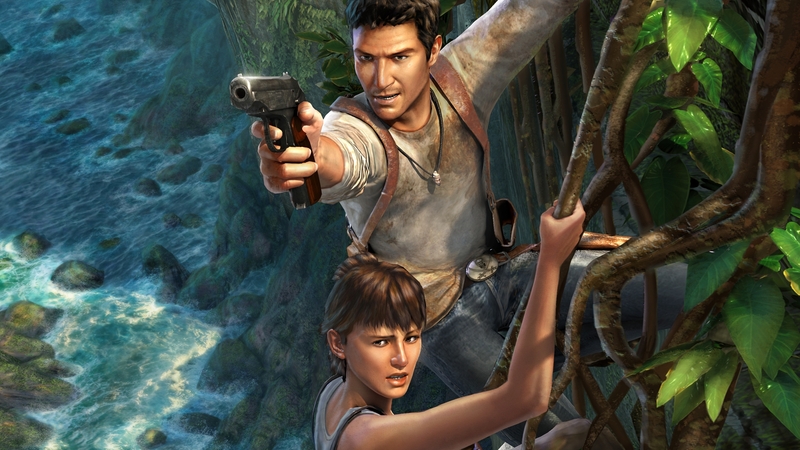 Building on its legacy of extraordinary storytelling, developer Naughty Dog has created an elaborate plot that will have players guessing at every turn. 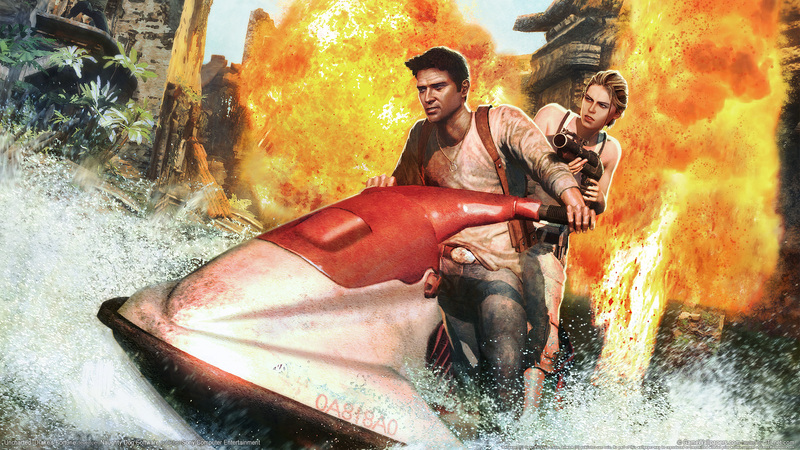 Uncharted: Drake's Fortune, brings players into a world ripe with realism and unexpected juxtapositions. A 400-year-old clue in the coffin of Sir Francis Drake sets a modern-day fortune hunter on an exploration for the fabled treasure of El Dorado, leading to the discovery of a forgotten island in the middle of the Pacific Ocean. 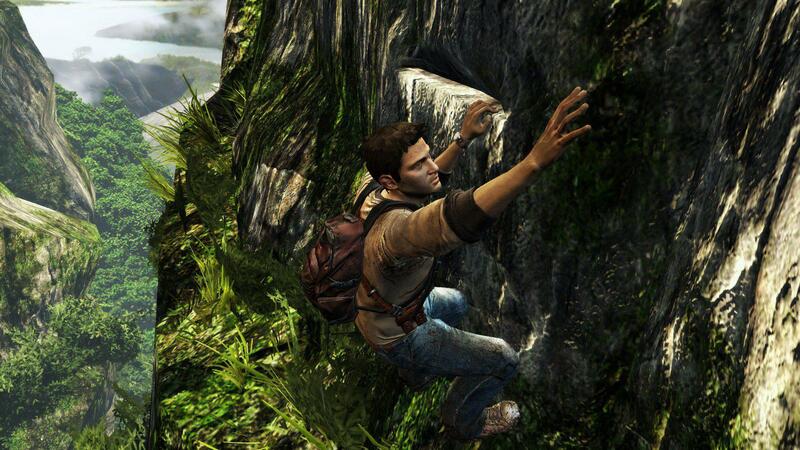 The search turns deadly when Nathan Drake becomes stranded on the island and hunted by mercenaries. 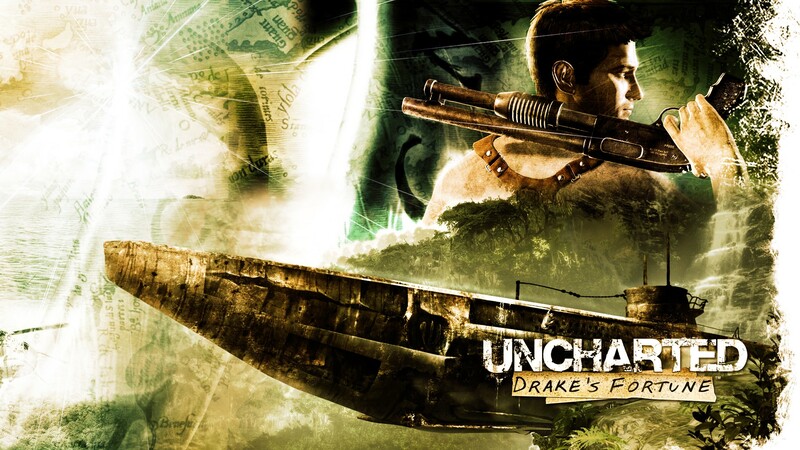 Outnumbered and outgunned, Drake and his companions must fight to survive as they begin to unravel the terrible secrets hidden on the Island. 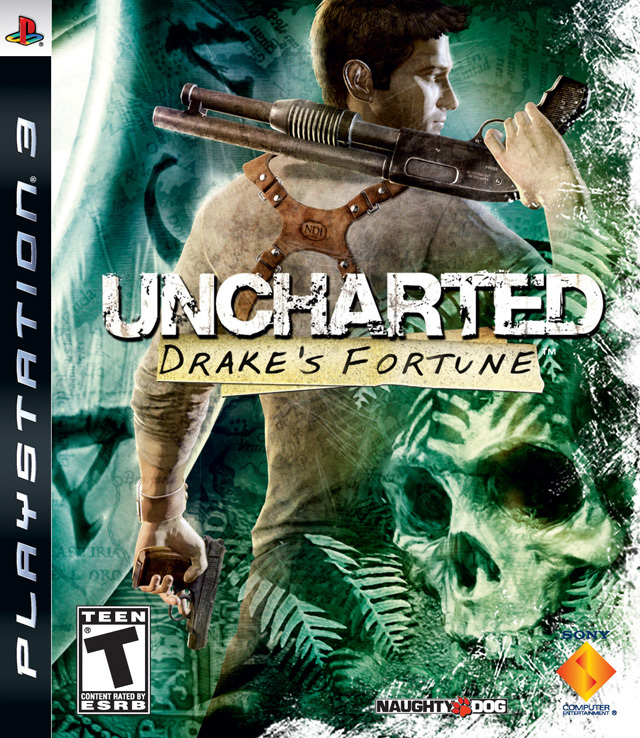 Taking full advantage of the power of PS3, Uncharted: Drake’s Fortune is developed using proprietary technology that promises to impress players with incredibly realistic characters and lifelike environments. 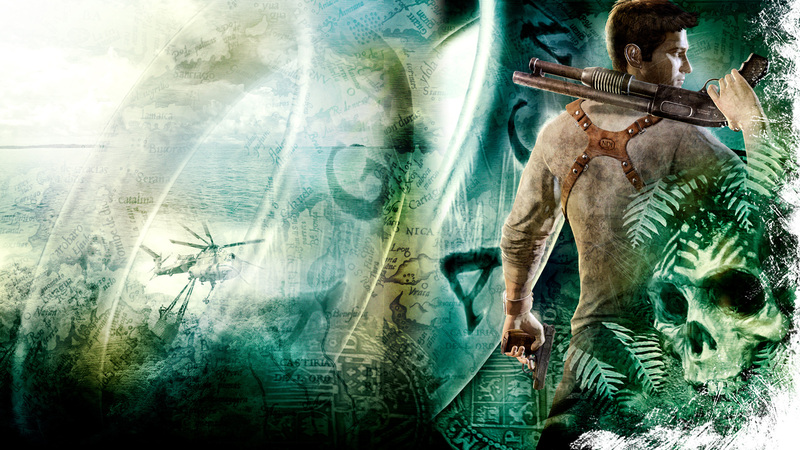 Building on its legacy of extraordinary storytelling, developer Naughty Dog has created an elaborate plot that will have players guessing at every turn. 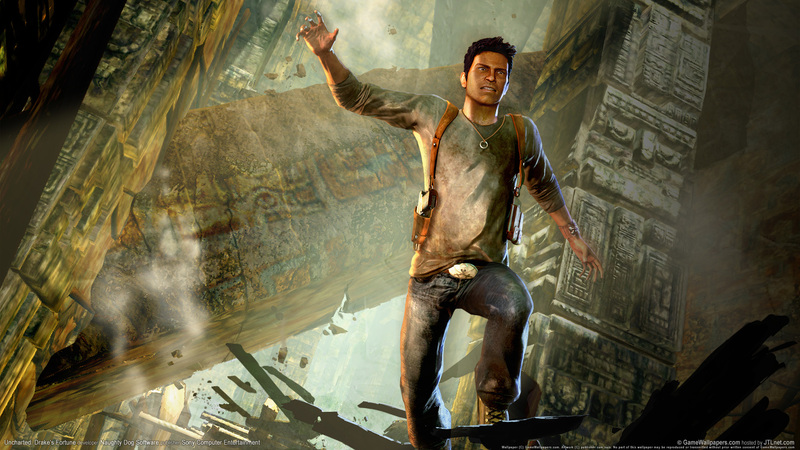 Uncharted: Drake's Fortune, brings players into a world ripe with realism and unexpected juxtapositions.